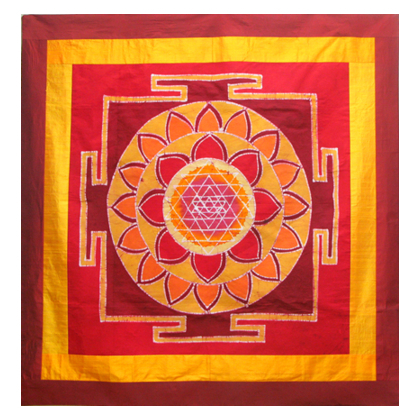 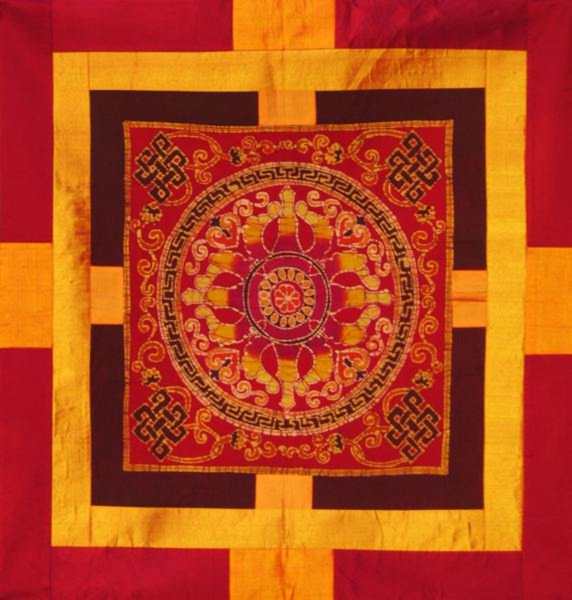 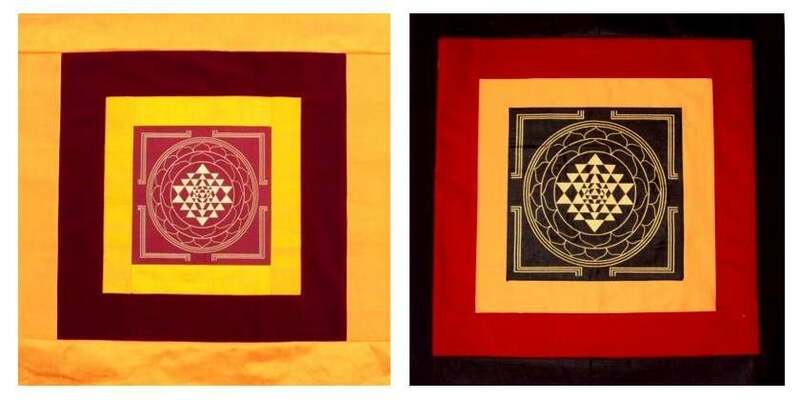 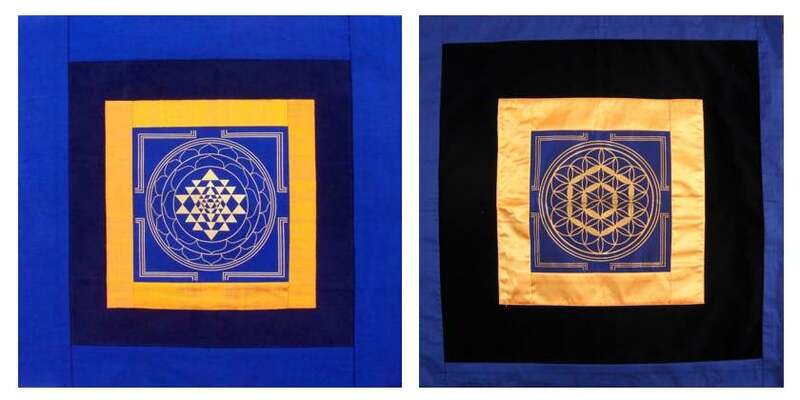 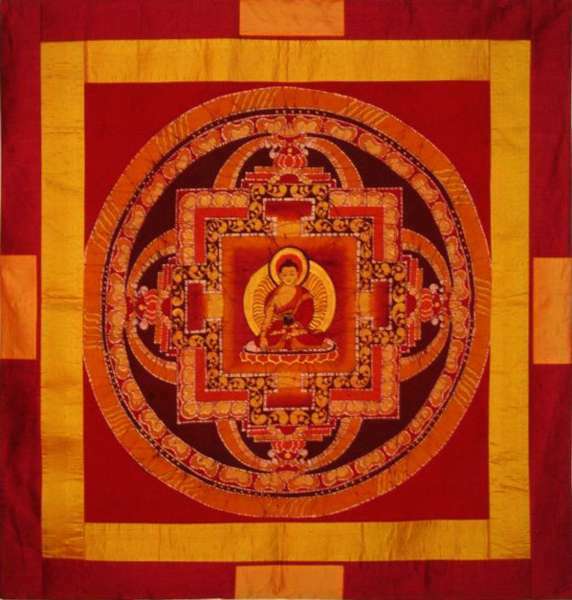 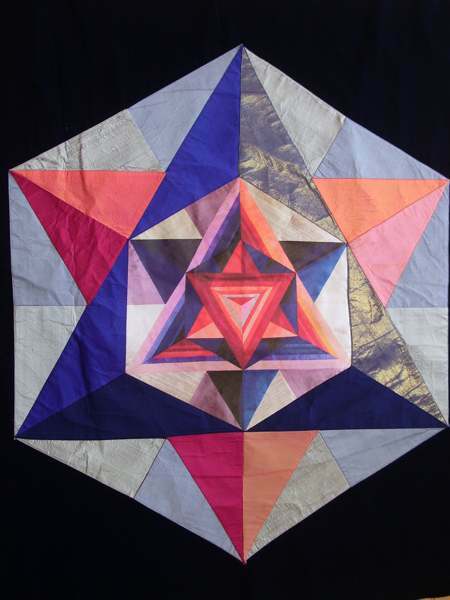 Wallhamging representing Hinduist symbol Sri Yantra, the beauty of the three worlds. 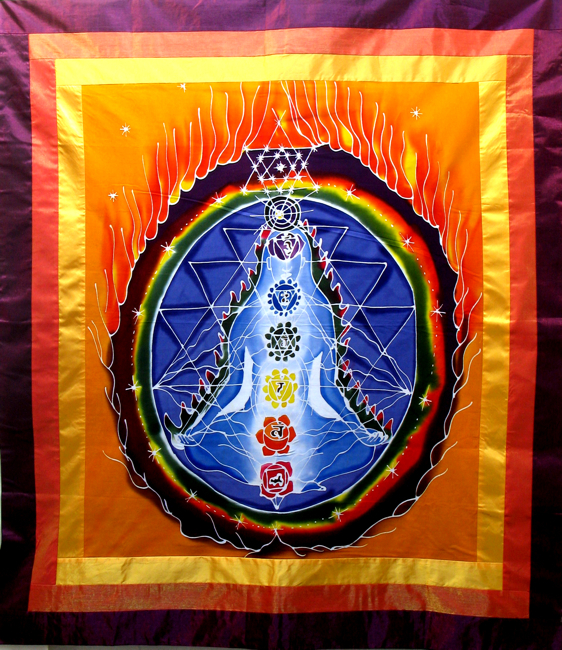 The upward and downward pointing triangles symbolise the masculine and feminine energies, Shiva and Shakkti. 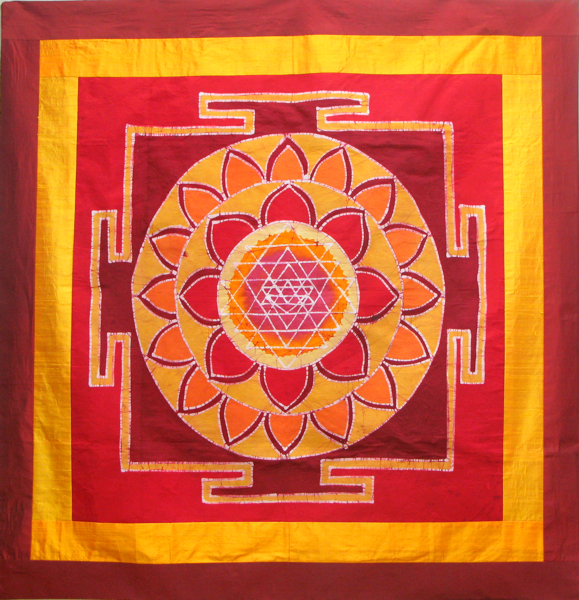 Technique: batik / patchwork, framed in silk. 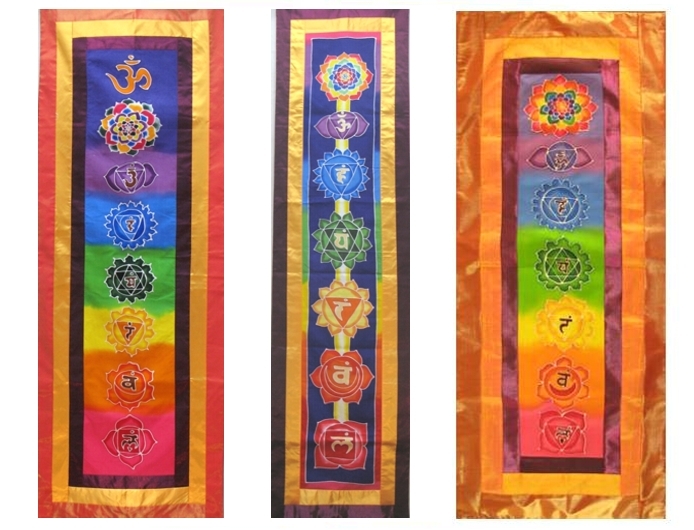 more samples of yoga style wall hanginfs..